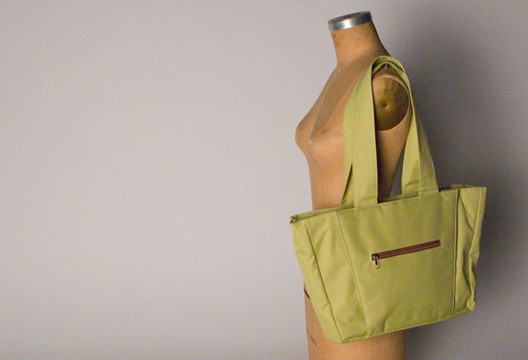 This tote bag was originally designed for a group project as a bag for busy kid-oriented moms. 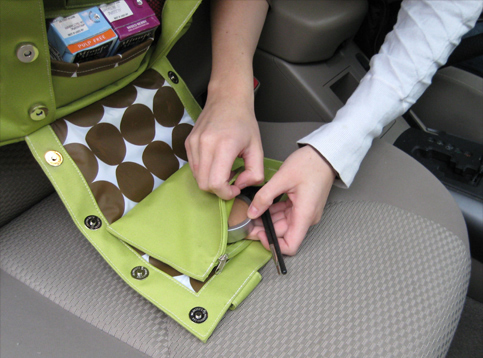 The bag fits easily over the headrest of a car’s passenger seat and the front panel opens to provide a portable ‘office’ in the car. 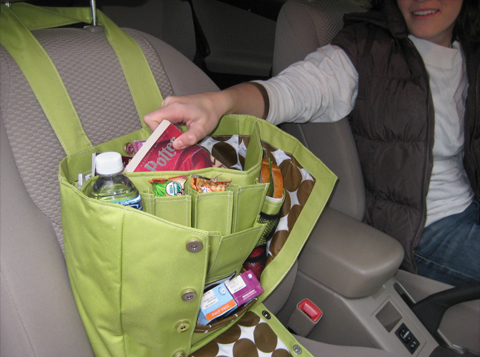 The tote organizes snacks for a mom and all her kids as well as a large pocket for a laptop, magazines or books. 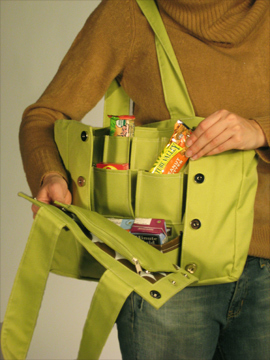 We worked with Leeds to prototype and draw-up plans for the pocket tote which were sent to their China facility and produced on a limited scale. This project was a great experience in learning how to take a product to production, produce clear plans and communicate with a manufacturer.